We have an obituary of Principal Trow in Volume LXXII - LXXVIII (1939-1945) (there was a single combined volume set covering the war years), and a picture of him from our archives. 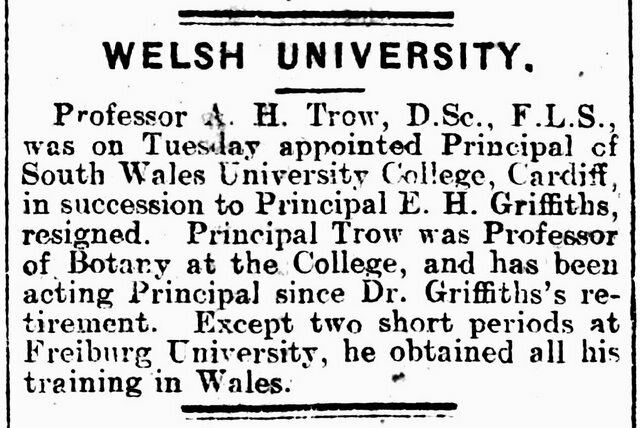 Principal A. H. Trow, D.Sc., F.L.S. 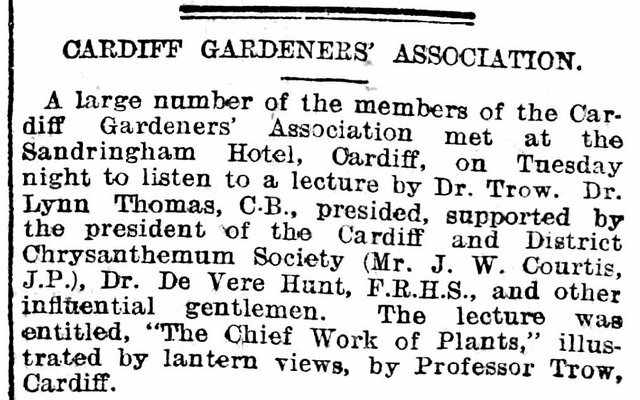 Principal Trow, who died at his home, Glanhafren, Penarth,.on August 26th, 1939, was a distinguished member of the Society, who willingly placed his spare time as well as his wide knowledge at its disposal to further the study of Botany within the area covered by its activities. 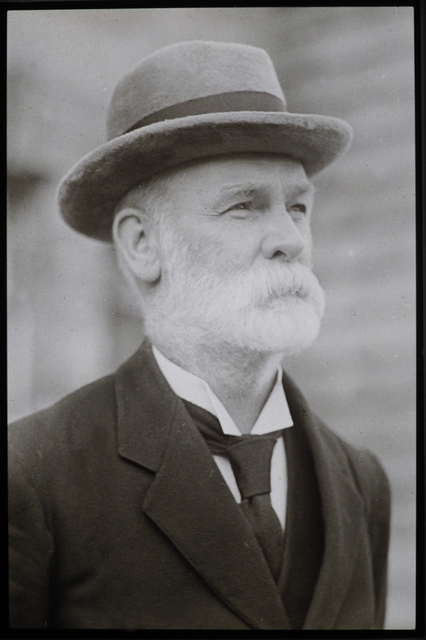 He joined the Society in 1890, was elected to the Council in 1894, and served as President in 1908 and 1920. 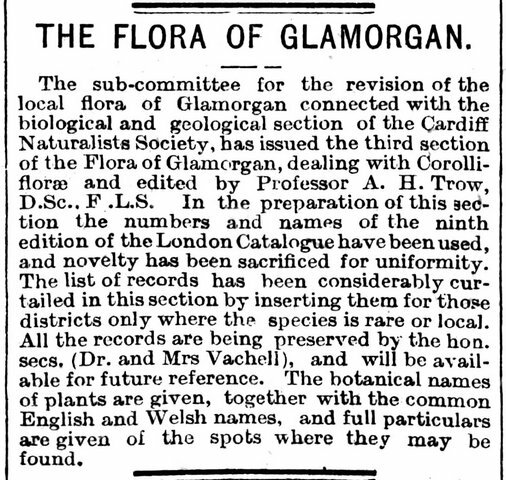 He contributed several papers on the flora of the Society's district, was a member of the Biological and Geological Section, and acted as editor of The Flora of Glamorgan," which, prepared under the direction of a Committee of the Society, was printed in the Society's Transactions (1907-1911) and produced as a separate Volume in 1911. 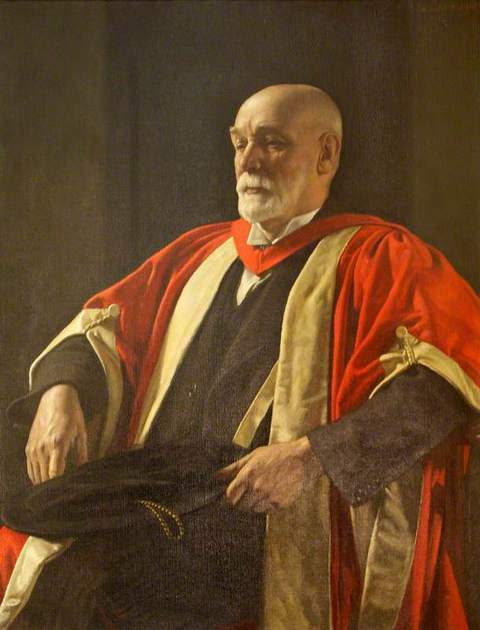 Albert Howard Trow, Principal of the University College, Cardiff, and Vice-Chancellor of the University of Wales, was born at Newtown, Montgomeryshire on February 28th, 1863. The eldest son of Mr. and Mrs. William Trow, of Newtown, he had two brothers, both younger than himself, and five sisters. He commenced his education at the British School at Newtown, first as scholar, afterwards as pupil teacher. From there he gained a Queen's scholarship to the Normal Training College, Bangor. As head student he was asked to become a tutor, and after two or three years of teaching he went as a student to Aberystwyth University College. Later, he studied for a short time at the University of Freiberg, Germany. He married, in 1889, Miss Catherine Harry, who died in 1919. Dr. and Mrs. Trow had no family of their own but they undertook the guardianship of the three children of his sister, Mrs. Rees, whose husband was a missionary in Madagascar. 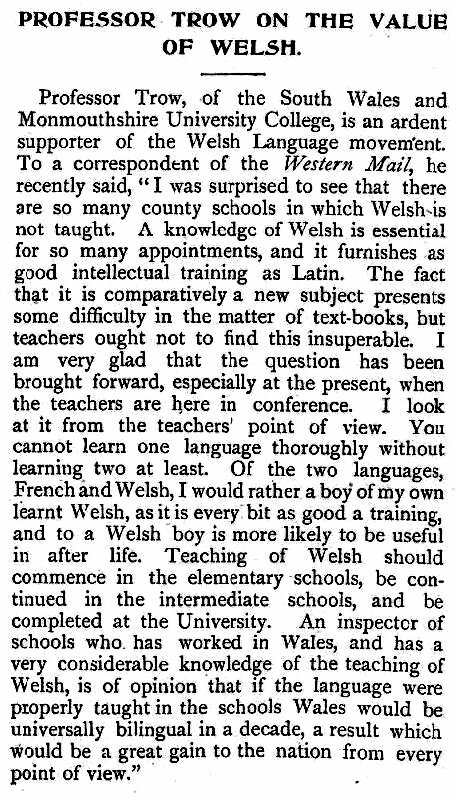 In 1892 he was appointed demonstrator and assistant lecturer in Botany at the University College, Cardiff, and after a distinguished career as Professor of Botany was appointed Principal in 1918, a post which he held until his resignation in 1929. As a boy he was reserved, and made few friends, but he fished, skated, swam, was fond of taking long country walks, and helped his father, who was an excellent gardener, in the garden belonging to their home. This was probably the beginning of his love for botany. In later life he became an enthusiastic mountaineer, but after his retirement his great hobby was his garden which he loved so devotedly that it was difficult to persuade him to take a holiday lest some of his plants should perish while he was away. 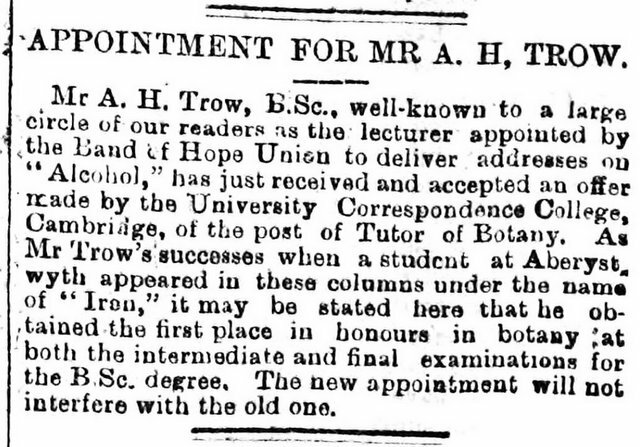 Though still reserved and quiet in his manner, Dr. Trow proved a staunch and most reliable colleague when, as editor of the Flora of Glamorgan he was closely associated with a few members of the Society who were privileged to help him with the work. A Fellow of the Linnean Society of London, he represented the University of Wales on the Court of Governors of the National Museum of Wales, of which institution he was also a member of Council and of the Science, Finance and Building Committees. 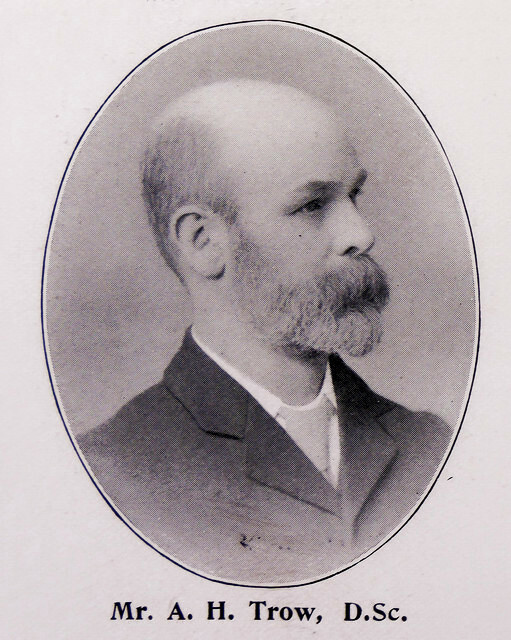 Among his works are several monographs on the biology and cytology of fungi in the Annals of Botany and papers on genetics in the Journal of Genetics that On the inheritance of certain characters in the Common Groundsel Senecio vulgaris Linn, and its segregates," his contribution is of special interest to members of the Society because the experimental cultivation of the various strains described in the paper was carried out in his garden at Penarth and was doubtless influenced by the fact that in 1894, Dr. Vachell brought to his notice at a meeting of the Biological and Geological Section a Groundsel with large ray florets found- near Cardiff.